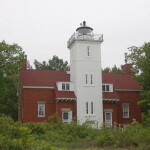 If it weren’t for the Michigan historical marker and township park sign that sit next to it, most people would drive by the former Presque Isle Front Range Light and not give it another thought. 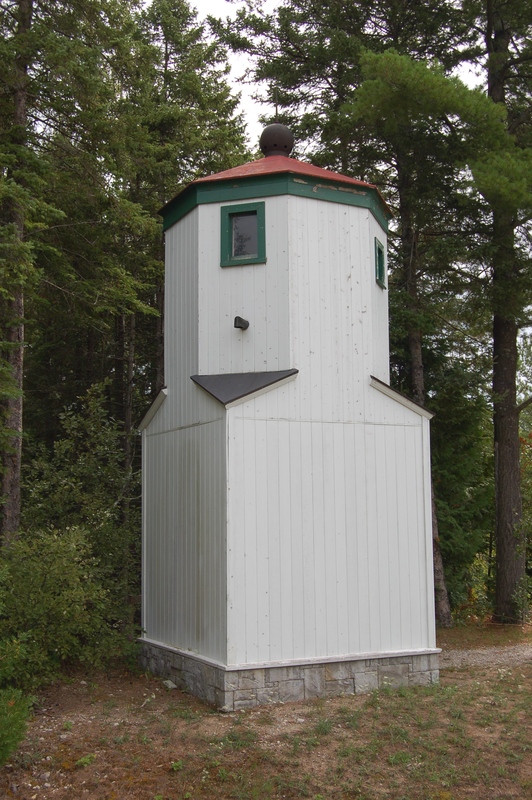 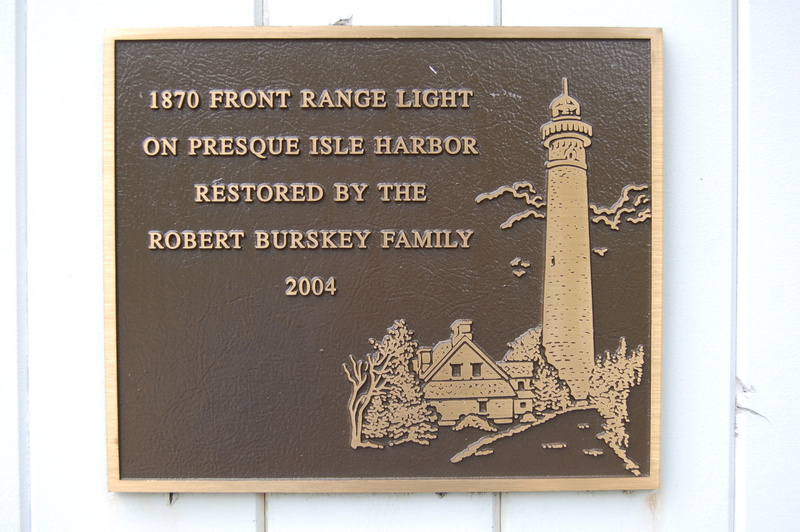 This small structure definitely isn’t one of the state’s more aesthetically pleasing lights, but it has historical significance to the area and is worth a stop if you’re in the area to visit the Old Presque Isle Lighthouse and New Presque Isle Lighthouse. 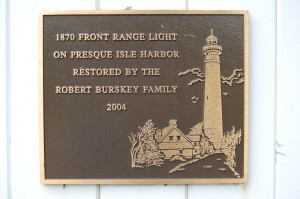 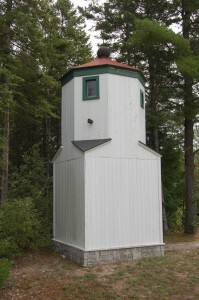 A plaque on the range light notes the restoration efforts of the Robert Burskey family in bringing the light back to this location and restoring its exterior. 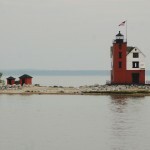 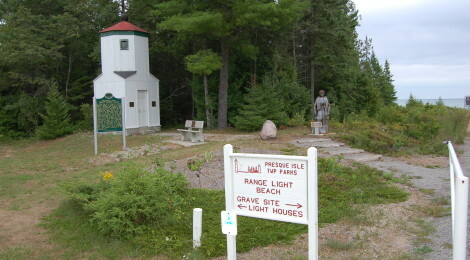 A statue of Anna Garrity sits next to the range light, honoring her as well as the legacy of all female lightkeepers in Michigan. 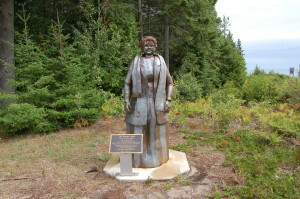 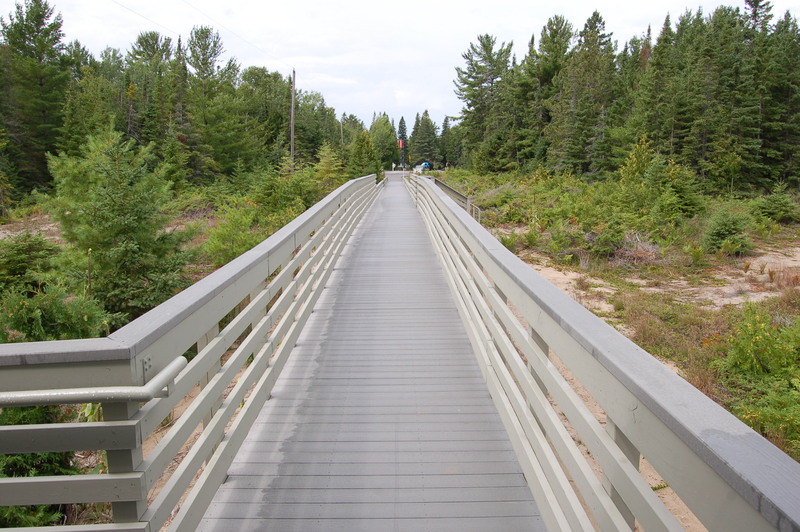 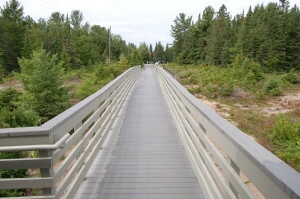 It was sculpted by Dawn Barr of Cheboygan and installed in 2013. 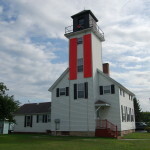 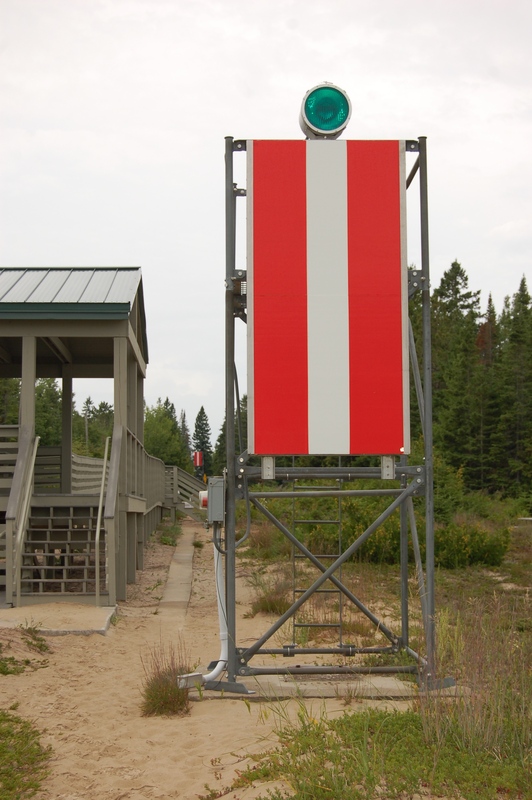 Range Light Park and the Presque Isle Front Range Light are located on E. Grand Lake Rd. 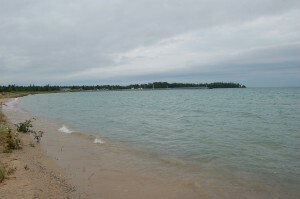 sirectly south of the harbor. 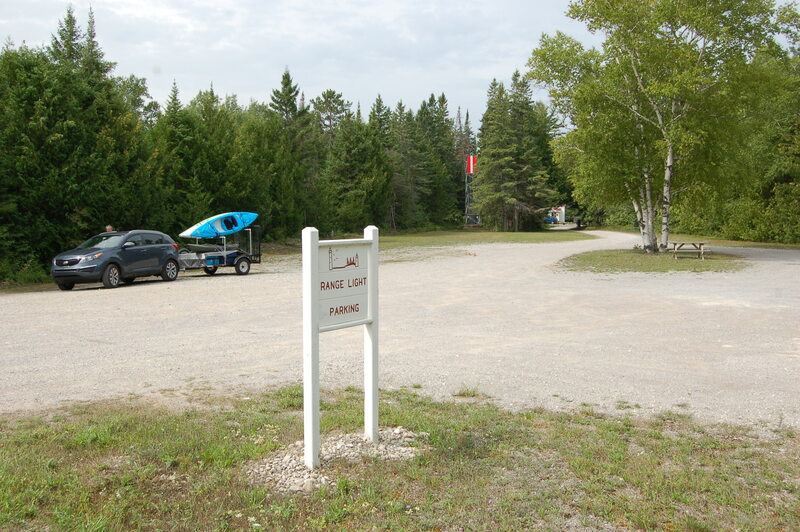 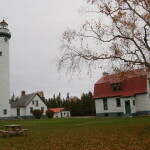 There is a parking area across the road (pictured above) and through the trees you can view the Presque Isle Rear Range Light, which is now a private residence (gated; please respect the property owners).